On Saturday 28th April, The Squatters are moving into The Spa, Scarborough, for Sessions! The Big One 2012! Armed with a backpack full of dance floor bombs and a black belt in chopped and screwed mixing, the guys have bad news for the roof at The Spa as apparently they are planning on leaving a bass-shaped hole in it! 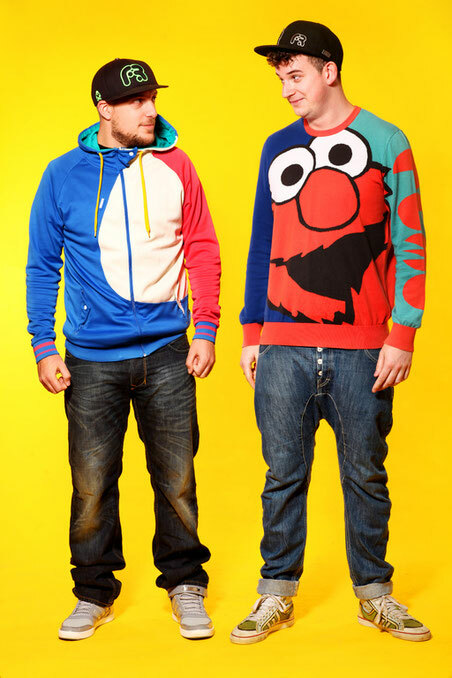 With a great pr team behind them, the duo really have been making a lot of noise, and deservedly so with their mashed up house and electro bonanza which draws loops and samples from old skool, hip hop, rave, dubstep and everything else in between. These boys know how to throw it all in the cauldron and no matter where the influences drift, a high impact house drop is always lurking around the corner. We caught up with the boys ahead of Sessions, where they will be joined by Judge Jules, Utah Saints, Rob Tissera, Micky Slim and Majestic. The Spa in Scarborough hasn’t seen a party of this magnitude since the ‘90s. Do you think the building will be able to cope with so many genres fused into one set? Most definitely, it has seen some of the biggest raves and “apparently” before the refurbishment last year it had a sprung dance floor, which used to bend with 1000 ravers on it! I’m sure it will tolerate our arsenal of beats. How does playing in the UK compare with the rest of the world? The UK would be far better if we didn’t have government health and safety rules which we all know as “common sense”, as when we play abroad they kind of have no rules and limit to the party. I guess the UK has some pros and cons. Where will you guys be over the summer? Ibiza, Canada, USA, South Korea and Scarborough. What are the best things about Yorkshire? The puddings and the accent. Do you have any unusual studio rituals? Our studio has two toilets so we can choose which one we go to depending on the condition! Which of you has the most hats? Alex, as Oli is too tight to buy any and he just wears sponsored ones. The last time you smashed up a hotel? We wouldn’t do this, as we are promoters also, we know what problems it causes. Boring we know, but we are decent chaps. The Squatters ‘Any Room In The Box For 2’. Who will be the last men standing at the after party, you guys or Micky Slim? Do I dare write us? NO! Micky!